When You are Ridiculed for Your Piety: Be Blessed! Remember: there is a patron saint of people ridiculed for their piety. She is St. Catherine of Siena. The last of twenty-five children, she died at age thirty-three. She was truly amazing: fiercely loyal to the See of Peter during one giant storm. If you think there are problems in the Church today just begin to read her magnificent writings. She is a Doctor of the Church and during WWII Pope Pius XII named her a joint patron saint of Italy along with Saint Francis of Assisi. Notice the act of motion (delineation of the ring)? The ring meets you. It is a sign of his jurisdiction. He is wed to his See. You reverence it in homage with a symbolic kiss. The Rome tour guide always says a bit about papal portraiture at the very end of the Pinacoteca gallery in the Musei Vaticani as there is an act, practice, or art of making portraits. It is subtle, but subliminal and is symbolic of the obeisance due in token of so much. 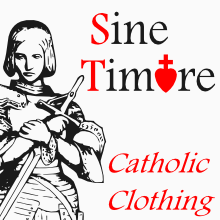 This is how it's done in the Latin rite: the relic is sewn into a corporal as seen here. This is then placed under the corporal for Holy Mass. In Naples (a fabulous Catholic city) is this Via S. Maria di Costantinopoli. Always try to have a devotion to Our Lady under this title. "At Antioch, the passion of blessed Hippolytus, Priest, who for a while was misled by the schism of Novatian, but by the working of Christ's grace changed his life, and returned to the unity of the faith; and for its sake he consumated therein a glorious martyrdom. Asked by his people which sect was the truer, he cursed the teaching of Novatian, saying that he would keep the same faith as the see of Peter held, and offered his throat to the knife." Photo: Cathedral of Saint Paul and Church of Saint Agnes (seen from Calvary Cemetery) in Saint Paul, Minnesota. Minnesota has produced some of the finest Catholic leaders of this modern epoch. It is also the pocket of the world with the most "Perpetual Eucharistic Adoration" chapels. America's greatest Catholic philosopher of this age: Ralph McInerny. America's greatest Catholic church musician of this age: Msgr. Richard Schuler. America's greatest Catholic pioneer of Internet evangelization of this age: Fr. John Zuhlsdorf. America's greatest superior general of a new religious order of this age: Fr. John Berg, F.S.S.P. "No host is ever consecrated but that is should find at last its way into the breast of man, and so during these days, as Our thoughts have taken frequent flight to your Twin Cities on the upper reaches of the Mississippi River, father of streams, where We had once the pleasure of visiting our venerable brother, your devoted Archbishop - We seemed to see in a vision thousands, yes tens of thousands, of Our dear children reverently, frequently receiving from the consecrated hands of God's priests the body and blood of their Lord and Master, their God and Redeemer." From the Sacred Grotto of the Vatican Basilica. The client asks the tour guide: "Is that a woman pope?" No, She is a symbol of Mother Church (wearing an early version of the tiara). A great spot for a bbq in the shadow of the dome. Annual meeting in Holy Father's private library and Sala Clemente: http://www.youtube.com/watch?v=H-pXtjXZ-rw. "St. Francis de Sales, Bishop of Geneva, Confessor and Doctor of the Church, the special patron with God of all Catholic writers who explain, propagate or defend Christian Doctrine by publishing newspapers or other journals in their mother tongue. He departed to heaven on December 28, but his feast is specially observed on this day because of the translation of his body." "St. Peter Nolasco, Confessor, who founded the Order of Our Lady of Ransom for the redemption of captives, and who fell asleep in the Lord on December 25." Perhaps these times call for a new revival of this same order. Common answer: "To help people." Better answer: "To save souls." Today yours truly knelt at the tomb of Saint Peter in the crypt grotto of the Vatican Basilica and prayed for all priests. A newly restored outdoor image showing a wonderful version of the triple crown tiara (which then becomes one crown of three) seen on Pope Gregory the Great. Via Leccosa off Piazza Nicosia (near Tiber River and Ara Pacis). 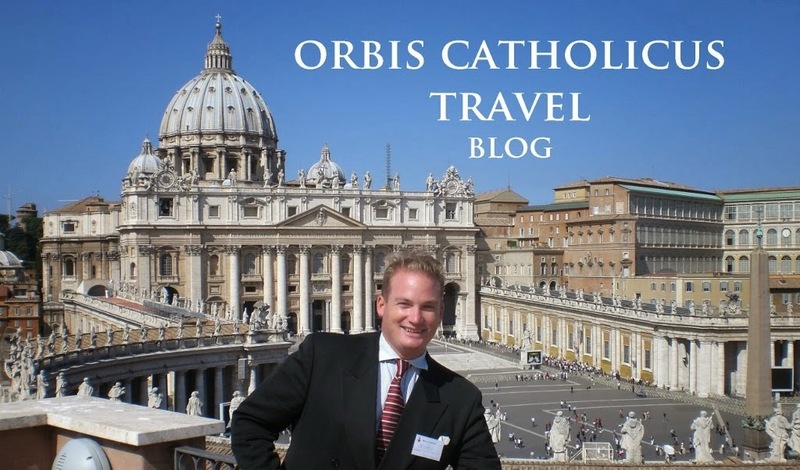 It always brings great joy to see members of the Transalpine Redemptorists in Rome and the Vatican. Nicest guys in the world. Real men. Holy and always with a smile. Is this your vocation? See here: http://papastronsay.blogspot.com/. Linea Classic OR Linea Modern? Even Mondo Convenienza will tell you it's all about linea classic today. Constantinian Knights of St. George. This is how it's done; from Rome. Be a Dominican and study Thomism in Rome: http://www.angelicum.org/. 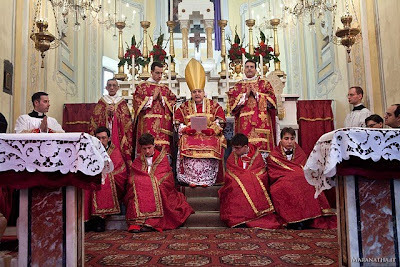 Maronite Catholics are the best. 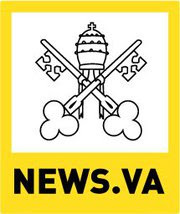 Fierce loyalty to the Apostolic See of Peter the Roman (through centuries of storm) without break. 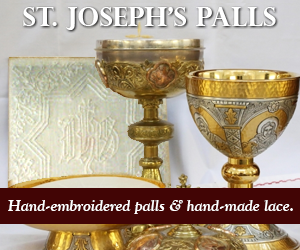 Wonderful craftsmanship in honor of St. Joseph. The good news is that tomorrow is already here. Just glorious to see this glory coming from Siri-Land in Liguria (Artallo, near Imperia/Porto Maurizio, on the Italian Riviera). This is the tomb of Saint Thomas the Apostle located in the little town of Ortona in the Abruzzi. Thomas was transfixed with spears and martyred in about 68-72 in the south of India, in Mylapore (Mylapour), a suburb of Madras. Before that he preached the Gospel to the Parthians, Medes, Persians and Hyrcanians before he arrived in India. By order of the king he was killed and his remains were later brought to Edessa in Mesopotamia and then here to Ortona in the year 1258. Photos taken on feast of Saint Thomas the Apostle, December 21, 2009. Prayers for the soul of a friend, Thomas diPippo. Holy Mass celebrated with great devotion by our favorite American priest in Rome: Fr. Chad according to the hallowed Gregorian rite. The Lord be praised in His saints! Inside this church is the tomb of St. Thomas the Apostle. We came to pray for every Thomas, living and deceased. You can see the outside was reconstructed in 1947 after having been blown up a few days before Christmas, 1943. 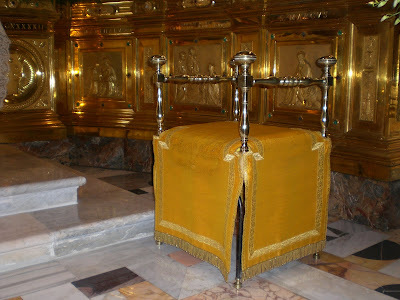 Since September 6, 1258 the bones of St. Thomas the Apostle have been kept here. Top photo: "Athena" with a Canadian. Bottom photo: "The Price of Peace" from the people of Canada in 1999. The Dominican parish in Naples (San Domenico Maggiore, Napoli). Palazzo Colonna (La Galleria) in Rome. This gallery is open every Saturday morning. Mercati di Traiano (Trajan's Market), Rome. From the old College of Saint Thomas in Saint Paul (USA). Here is an elderly Roman with manservant on a Sunday stroll. Such a witness to see how dignified older Romans dress! Remember to always wear your Sunday best to Holy Mass every Sunday and Holy Day with no exceptions. Catholic Sicily: Padre V. Nuara, O.P. Never Before Seen Today: the "Room of Tears"
"The Pope of Christian Unity"